Getting to work is hard in the winter. It’s even harder when you're buried in snow. Don’t worry, we have an easy solution. Hire us! We’re on-call whenever the snow hits, and it’s one less thing you have to worry about. 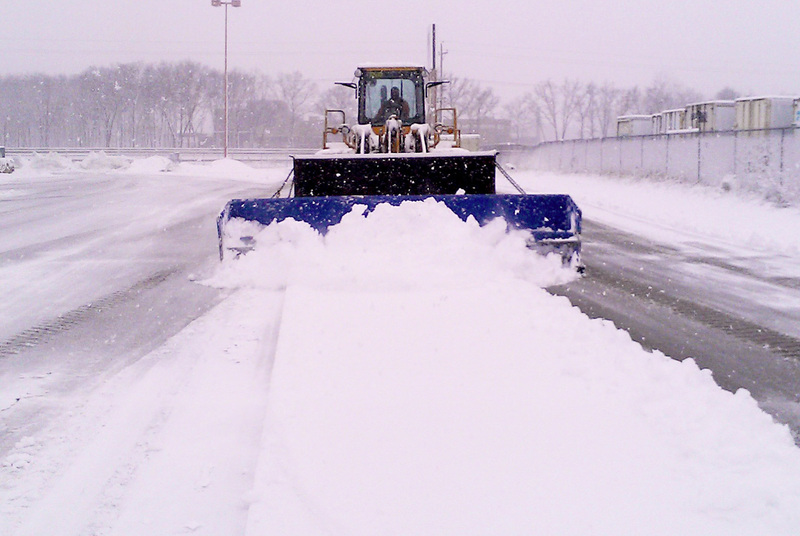 We have all the biggest and best equipment to get the job done: giant trucks, 22 ft-wide plows, and commercial salt spreaders. Prevent accidents this winter. Have your snow and ice managed by professionals. Seasonal and per day pricing is available. Get in touch to find out more. Cut the lawn! Pull the weeds! Rake those leaves! Doesn’t that sound like a whole bunch of stuff you don’t want to do? We thought so. Nice part is, we like doing that stuff. Our property management packages will keep your place looking great all the time. 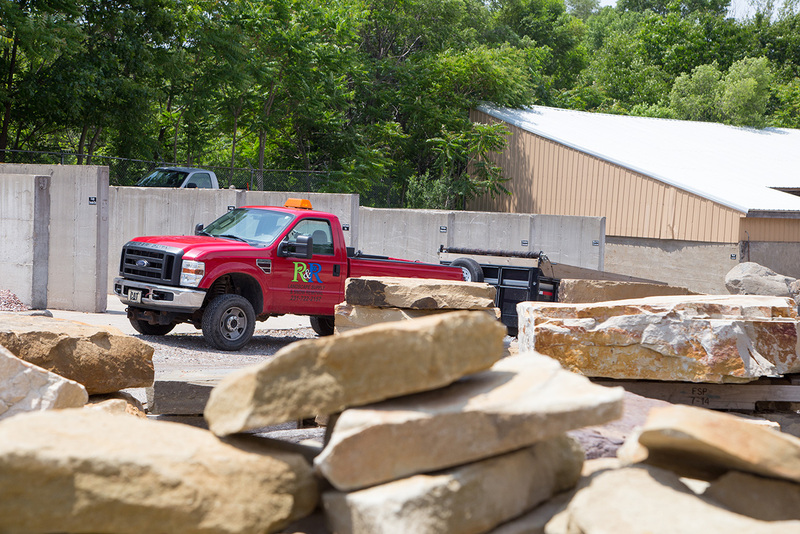 We handle lawn care, leaf removal, landscaping maintenance, and more. Turn your neighbors green with envy - for 1/4th the cost. 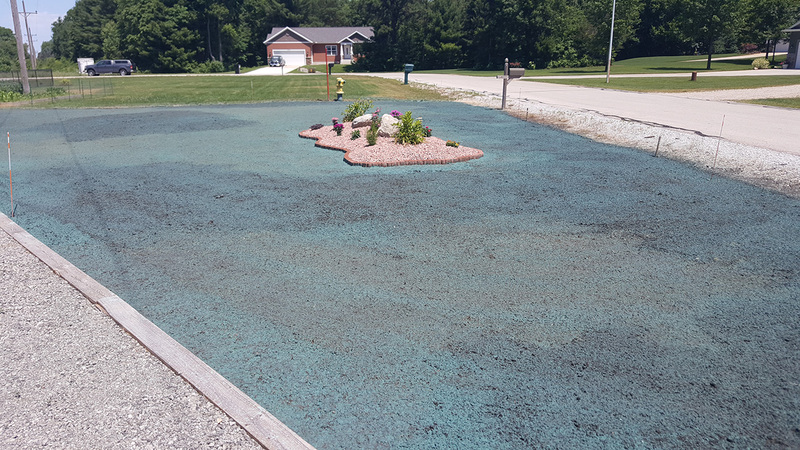 Hydroseeding is the best way to plant grass, period. Here’s how it works: a slurry of grass seed, water, fertilizer, and paper mulch is sprayed over the new lawn area. Each ingredient of this super mix has a very specific purpose. The water activates the seeds, the fertilizer helps it grow, and the paper mulch locks in moisture. This gives you a great lawn in less time, for less money. And that’s pretty great. Hydroseeded lawns come up faster. We all have the need for speed. Hydroseeding is cheaper and better. Cheap is good, better is better. Hydroseeding doesn't need straw covering. Straw is loaded with weed seeds. Hydroseeding is more effective on hills. Everywhere deserves grass.